As one of five companies selected to work with Sandia through the Department of Energy's Small Business Vouchers Program, Ceramic Tubular Products is developing high efficiency, low emissivity receiver tubes for Concentrated Solar Power plants. These tubes would allow the plants to operate at higher temperatures and efficiency, helping to achieve DOE's SunShot goal of six cents per kilowatt hour levelized cost of electricity by 2020. 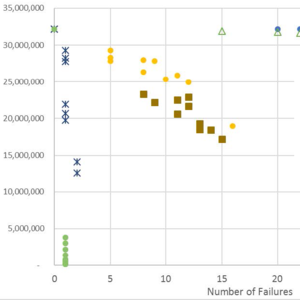 Sandia's PV-RPM algorithm, which predicts component failure and repair in a PV system over a desired timeframe, has been implemented and successfully validated as a new capability in NREL's System Advisor Model (SAM) tool, a popular PV design software that calculates PV system performance and financial metrics. 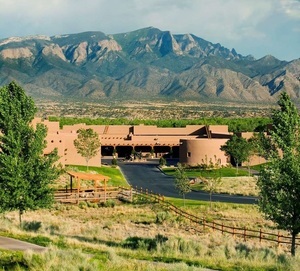 Co-sponsored by Sandia and CFV Solar Test Laboratory, this two-day workshop will be held at the Hyatt Regency Tamaya Resort and Spa near Albuquerque, NM. 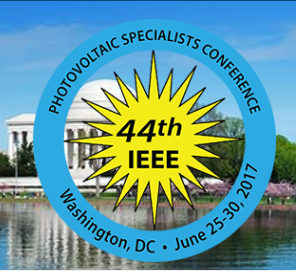 Sandia has had 22 posters and 12 oral presentations accepted for 2017 IEEE PVSC to be held in Washington D.C. Sandia will be sharing research related to utility scale PV power plants, characterization techniques, modeling of system components, and more. The U.S. Department of Energy SunShot Initiative is a national effort to drive down the cost of solar electricity and support solar adoption. SunShot aims to make solar energy a low cost electricity source for all Americans through research and development efforts in collaboration with public and private partners. Learn more at energy.gov/sunshot.